The first of the Cannons Creek bridge’s 44 steel girders arriving onsite. Welcome to the April 2018 construction update for the Transmission Gully motorway project. Great work continues across the entire 27-kilometre route, with a number of milestones set to be achieved by the end of the summer season. We’ll have more on this in our next project newsletter. Here’s the latest from the team on what’s been happening across the Transmission Gully project in the last month, and what’s coming up. There is now a change in the road layout on SH58, where it approaches the Pauatahanui roundabout, from the Hutt Valley. Both lanes are being narrowed and the speed limit will be temporarily reduced to 30km/h. This is to allow safe working space on the southern side for crews working on the SH58 Interchange, where it connects to the new motorway. 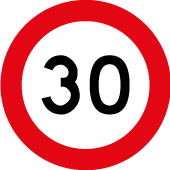 Please take care when travelling through this area and travel to the temporary speed limits in place. Later this year, traffic will shift from the current SH58 layout to the new permanent road on the southern side of our site offices. In the latest radio interview, Reuben Mills, Senior Environmental Advisor talks about the works to release the lizards that were captured before construction works started, to their new habitat. Heavy machinery taking a break from work near Battle Hill Farm Forest Park. Check out the project’s image gallery to view the latest photos of the motorway from the air and on the ground. Visit our video library to see animated videos of the interchanges and innovative construction works for the project.